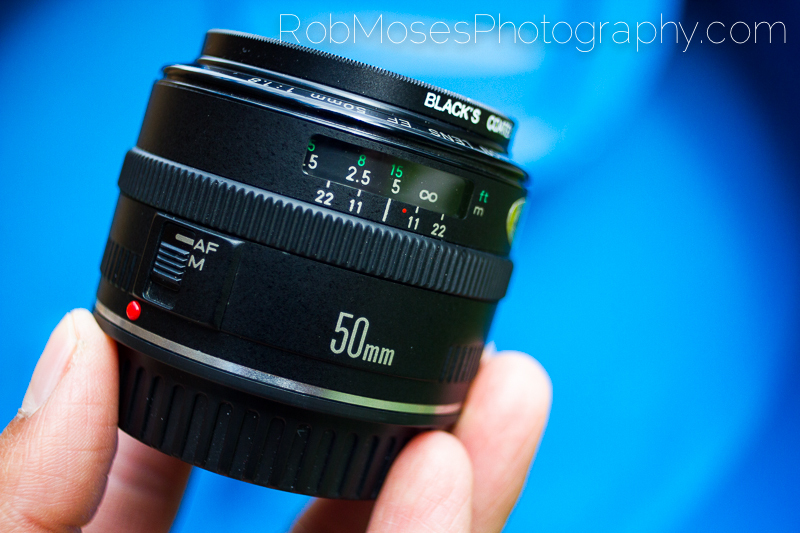 Let me start off by saying I own and often use the Canon EF 50mm 1.2 L Series lens. However, I still love my 50mm 1.8 mark 1, it’s a wonderful lens and produces amazing images. The glass used in the mark 1 is exactly the same as the cheaper built “Plastic Fantastic” 50mm 1.8 mark ii. So if that’s all you can get your hands on, not to worry. It took my quite a while to get my hands on a decently priced 50 mark 1 (can’t but them in stores anymore). When I did though, I was extremely happy, because the newer mark ii feels like a toy to me and I had broken one before. I wasn’t to happy using a lens I was afraid was going to break if I sneezed on it. The mark 1’s build quality is 10 times better and if you like to manual focus, this one actually has a proper focus ring. However, with saying that, both lens produce amazing images and that’s all that really matters. 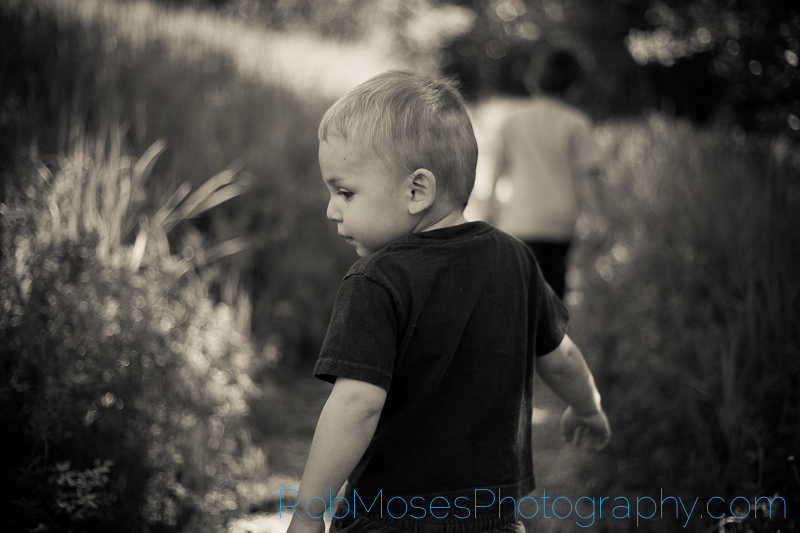 Here is a shot I got of my son Cammy walking down a trail today with the lens above on a Canon 5D mark iii. This entry was posted in Equipment and tagged 50mm, 5D3, 5Diii, beautiful, blur, Bokeh, boy, Calgarian, Canada, canadian, Canon, child, EF, equipment, Gear, lens, mark 1, mark i, photo, Photographer, Photography, Rob Moses, trail, yyc. Bookmark the permalink. I was confused long before you offered the help :)…believe me when I say, I’m very happy you would take the time to send me all this info!!! I’m a complete beginner when it comes to photography/lenses/cameras, so I’ve absolutely no idea what is a great lens??? I think I mentioned I have a Nikon D3000, 18 – 55mm lens, but I feel very limited with it…it doesn’t get close enough for macro shots nor does it zoom in well enough for landscape shots, I don’t find the shots crisp/clear, but that could be something I’m doing wrong??? I’m not sure what I need…someone suggested a sigma 18mm 250mm, but again, I honestly don’t know. 🙂 thank you for thinking of me…I do appreciate it! I’ve been thinking about this for awhile…maybe too long? ps…I read the kenrockwell.com site all the time…he offers such great info there. Hey, sorry for the slow reply. Anyhow, what setting where you shooting your photos in? Also, how is your auto focus set up? I find when shooting fast apertures like 1.8 and lower it is best to use one focus point (like the middle), focus on the subject (press and hold the button half way) then recompose and shoot the photo. This way your focus is where you want it and your photo will be exposed for that subject. Let me know what your setting are and how your shooting and I will try and help you figure out what is going wrong. This is very interesting ’cause I owned a 50 f/1.4 for awhile. It ended up not holding up to the abuse, despite being very good optically. I assume that’s because it was built like the f/1.8 mark II. I would consider getting a f/1.8 mark I if I could find one. But after my f/1.4 fell apart I found a used Zeiss 50 in perfect condition. It’s manual focus but built so well I’ll probably just keep it. Hey, I also have a 50mm 1.4 that I broke. In fact it is currently sitting in a cupboard still broken! LOL. I think if some one is going to get a 50mm 1.4 they should get the Sigma one, because it’s better in every way. That or just get the Canon 50L 🙂 Oh and I bet that Zeiss you got is fun! I like manual focus. Lovely shot and nice history! Can’t wat for the day I can start buying more lenses! Looked at your wedding site as well. Lovely photos 😀 All the best! to my order as well. My purpose is to do the night photography especially taking the shots of milky way. Any suggestions? Hey! Thank you 🙂 That is a perfect set up you are talking about. I just happen to have all that too :). Anyhow, about shooting the milky way, you’ll probably be best off with your 50 for that since is so much faster. Just make sure you know where to look in the sky when your ready to go. I’m sure a quick search on google or bing will tell you where to look 🙂 Good luck and have fun with your new gear! Thanks again! Are there any slow shutter lens with high aperture out there? If they do, will those be very expensive? Your 50 will that. Just shoot in full manual mode 🙂 Google “Milky Way 500 Rule”. That should also give you some insight into the type of photography you are wanting to shoot. yup I was doing a lot of research and came across the 500 rule today in the morning.. 500/50 so around 10 seconds it is. thanks for your suggestions. good luck to you!